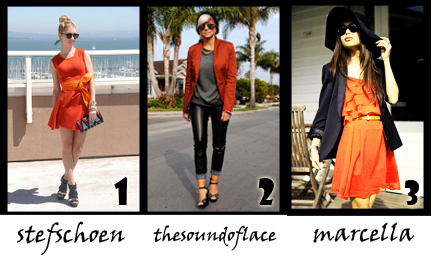 This comment on yesterday’s post inspired me to find more ways to combo orange and black without looking “hallow-lame.” Check out the real life wicked ways these Chictopia members rocked black and orange without spooking the style out of you. Want their style? Here’s a break down of similar items with out breaking the bank. Nothing over $50!!! There you have it. 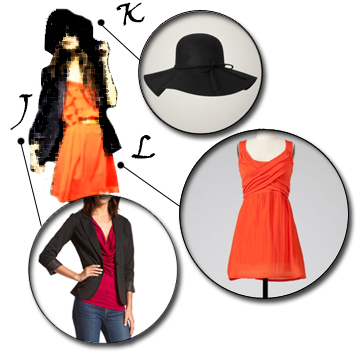 Your halloween treat Orange & Black, looking chic for under $50 a piece!